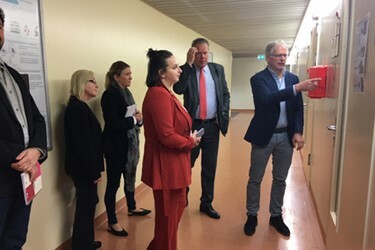 Otto Boerman, Ph.D., director of animal research at Radboud University Medical Center, guides press through tour of the facility, Oct. 2, 2018. Back in October I attended a press tour of the Netherlands’ biopharmaceutical industry. In a previous blog I shared my experiences from day one. We pick up the trip on day two, which began with a visit to Radboud University (a nearly 100-year-old school with an enrollment approaching 20,000 students and 5,000 employees) and Radboud University Medical Center (Radboudumc) (a 1,000+ bed hospital and level 1 trauma center employing nearly 10,000) in the city of Nijmegen. Upon arriving at Radboud University we were introduced to Paul Smits, M.D., Ph.D., dean and vice chairman of Radboudumc. Smits provided an overview of the two institutions (Radboud University and Radboudumc) noting the facilities being a merge of academia and medicine, with a focus on research, patient care, and education/teaching. While Radboudumc consists of three institutes (Health Sciences, Molecular Life Sciences, and the Donders Institute for Medical Neuroscience) encompassing 18 research themes (e.g., rare cancers, Alzheimer’s disease, and nanomedicine), we soon learn that one of the biggest areas of focus for the university medical center is animal studies. Otto Boerman, Ph.D., who heads up the facility for animal research (the building in which we are meeting) and serves as its director, took over from Smits to give us some background before taking us on a tour. According to Boerman, the university medical center got its focus on animal research back in 1955. “We had a veterinarian with a vision on campus,” he explains. “He said you can’t do biomedical research without animals, because you need animal models to study the diseases, mechanisms, and therapies you are interested in.” That visionary was Rien Dobbelaar, who felt it was better to have a centralized facility, rather a multitude of animal labs all over campus. In this way, the animals would be housed, looked after, and treated in a single location. This not only made the work more effective, but as the lab had caretakers specializing in looking after and treating animals, improved animal welfare and the quality of work. That’s important when you are testing medications for toxicity, efficacy, and possible side effects in animals, because you don’t want the animals stressed out as that could influence results. Things like cage density, sanitation frequency, and bedding types matter, which was explained during the tour. Previously referred to as the Central Animal Laboratory (CDL), Boerman notes animal studies now being listed as one of Radboudumc’s 19 technology centers. “We are one of the largest and most expensive technology centers,” he explains. “We do over 400 animal studies a year with approximately 12,000 animals.” While Boerman shares that the facility can do studies on larger animals (e.g., rabbits and sheep), he stresses that the bulk of animal studies (i.e., more than 95 percent) are done using mice and rats. Doing lots of animal studies requires lots of imaging equipment. “Normally, scientific development goes from in vitro, to animal models, to the patient, but with imaging it was the other way around, as imaging for patients was developed first, and then adapted to animals,” he explains. During the tour we got to see Radboudumc’s Pre-Clinical Imaging Center (PRIME), a centralized facility for multimodality imaging (e.g., MRI’s, SPECT and PET) specifically designed for small animals (i.e., mice and rats). As such, PRIME has the necessary technology and expertise to support biopharmaceutical development and preclinical research, and basically functions as a CRO. The tour of PRIME began with a presentation by Sarah Weischer, a Ph.D. student in the cell dynamics group in the cell biology department. “We basically do intravital imaging using photon microscopy to look at cancer dynamics,” she begins. “Our core business is to study tumor invasion and metastasis.” Weischer proceeded to explain longitudinal monitoring of cellular processes using imaging windows, such as the cranial imaging window to assess brain tumor progression in mice. “We mainly use the dorsal skin-fold chamber to study tumor progression, regression, and invasion,” she states. “There we can inject fluorescently labelled tumor cells into the dermis of the skin, so we can look at them with a microscope.” What I found most interesting from her presentation were the accompanying images showing a tumor after injection, and then how it grew and spread to the surrounding tissue via “invasion strands.” And though she described these images as being “nice,” for much better detail she turns to multiphoton microscopy and showed time lapse imagining of migrating tumor cells in vivo, which was pretty amazing. We were then given a tour of the various technologies by research technician Esther Wagena. 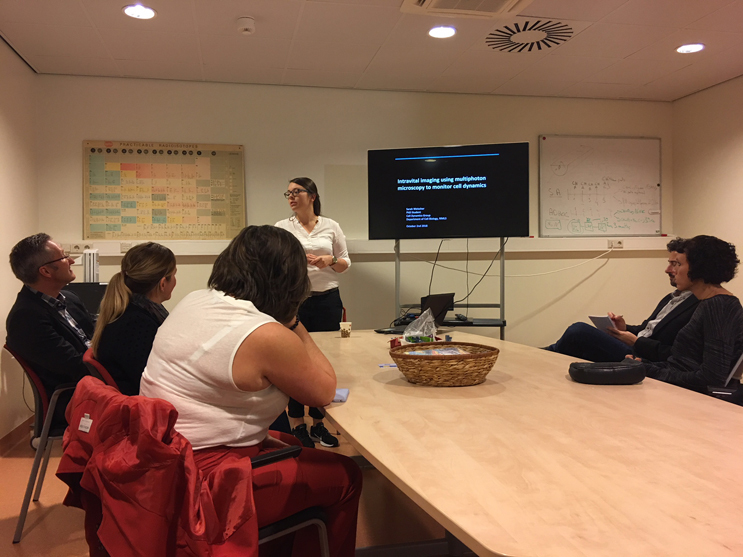 Sarah Weischer, Ph.D. student at Radboud University, provides a presentation involving her work on animal research imaging, Oct. 2, 2018. Our tour of Radboudumc concluded with presentations by Leo Joosten, Ph.D., who spoke about trained immunity; Rob Collin, Ph.D., who presented on inherited retinal dystrophy and the application of RNA therapies to correct some of the genetic defects that underlie these “terrible” diseases; Jason Keller, who talked about a relatively new project he referred to as “brain on a dish” toward development of a new drug testing platform for matching medicines to epilepsy patients; and Robert Sauerwein, M.D., Ph.D., who shared his life’s work of developing a vaccine for Malaria. “As a trained medic going into research,” began Dr. Sauerwein, “I was intrigued by the fact that tropical diseases get very little attention on a global scale.” According to Sauerwein, malaria remains one of the top three infectious diseases, with 163 million new cases resulting in 500,000 deaths annually. “Every minute or two in sub-Saharan Africa, a child dies from the disease,” the professor emphasizes. This is despite the fact that Youyou Tu (recipient of the Nobel Prize in Physiology or Medicine in 2015), isolated the anti-malarial drug artemisinin from wormwood, a plant used in traditional Chinese medicine. Sauerwein noted how many people might think that because we now have a drug, we no longer have a problem. “The drug is wonderful, as it works very rapidly with few side effects,” he shares. “But it is combined with another drug to protect against emerging resistance, which is always a threat.” And while there are other malaria-protection measures, such as insecticide-treated bed nets, and various other efforts that have significantly reduced the incidence of the disease, Sauerwein says we can’t go to sleep on our success. “For example, we are now seeing mosquitos that have developed resistance to the insecticide-treated bed nets and are starting to see clinical resistance to artemisinin,” he says. As such, he believes we need new drugs and other treatments for malaria. So, in addition to fulfilling his duties as full professor of medical parasitology at Radboudumc, he is also functioning as the chief scientific officer for TropIQ Health Sciences, a spinoff company from the university focused on the link between poverty, health, and infectious diseases. “We started with three people in 2012 and today are up to 14 employees,” he shares. You can read more about his company’s research here. Following the tour of Radboudumc, we were off to Pivot Park, a life science bio incubator that opened in the city of Oss in February 2012. I have to admit to being particularly excited for this component of the tour, as Pivot Park is the former campus of a company for which I worked for 10 years. The company was Organon Pharmaceuticals, and its global headquarters, along with much of its manufacturing and R&D, were located in Oss . Following the company’s acquisition by Schering-Plough in 2007 and merger with Merck in 2009, I, along with thousands of colleagues located all over the world, got laid off. But it was this door closing that opened up the opportunity I now enjoy as chief editor of Life Science Leader. In 2010, Merck announced cost-cutting measures that would close the door on more than 2,000 jobs just at the company’s former Oss campus. The declaration was devastating to the Netherlands at large, as well as the community of Oss, and many didn’t know how or if the area would ever recover. But thanks to the advent of Pivot Park, it was more like one door closed and 50 doors opened — for that is about how many new life sciences startups now call Organon’s former Oss campus home. As I toured Pivot Park, I marveled at how many former Organon employees still work on the campus. For example, Alexander Willemse, Ph.D., is the CEO of BioConnection, a CMO; Brigitte Drees is the CEO of Pivot Park; and Tjeerd Barf, Ph.D., cofounded Acerta Pharma BV there. The tour of the bio incubator concluded with a meeting with Barf and Nico Stam, Ph.D., VP of research (EU) and Oss site head for Acerta. Barf walked us through everything involved in the decision to found his very first company (originally called Covaluation Pharma BV). 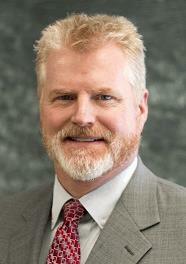 He noted a big driver being Merck’s decision to discontinue R&D at the Oss facility in 2010. Barf did not want to relocate his family outside of the Netherlands again. And as Abbott had also closed Solvay Pharma in Weesp that same year, there were fewer opportunities in pharma in the Netherlands at the time. As I listened to him share of his experience, I got the notion that Barf was a somewhat reluctant entrepreneur. What I mean by this is, I’m not sure he would have started his own company had he not been pushed outside of his comfort zone by the Merck R&D closure. And perhaps that is why he’s been so successful. Because when asking if he ever had a fear of failing, his response was that it had to succeed, as failure was not an option. And succeed he and Acerta have, with both being two of the brightest success stories of Pivot Park thus far. Three years after being started, AstraZeneca invested $4 billion to acquire a 55 percent stake in the company. Two years later, Acerta’s lead compound, acalabrutinib, received FDA approval for the treatment of adult patients with mantle cell lymphoma (MCL) who have received at least one prior therapy. While it was disheartening to see the doors close on Organon, it was exhilarating to see how many others (many by former employees) have been opened in Pivot Park — to the benefit of workers, the Netherlands’ economy, the life sciences industry, and most importantly, patients around the world. Stay tuned for experiences from Day Three of the Netherlands’ press tour.